Fiber will have a beneficial effect on our health because it contributes a lot of nutrients naturally. In addition, it will help us prevent diseases, improve digestion, reduce the risk of diabetes and other health problems. 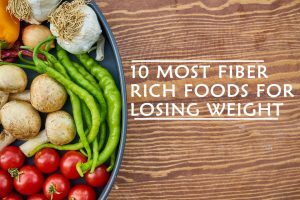 In this case we will have a look at the top 10 foods rich in fiber to lose weight. However, there are two types of fiber: soluble and insoluble fiber, both will benefit our body, so no need to worry. The advantage of this vegetable is that you can add them to salads, rice, stews and more. With only one cup of peas we will obtain 8.6 gr. of fiber. They are so easy, there’s no excuse to not eat more of them! Peas contain many anti-oxidants that provide many benefits including but not limited to increased energy, strong immune system defense and anti-aging properties. Peas also are known as an anti-inflammatory food. Inflammation is linked to diseases such as cancer, heart disease, Alzheimer’s and even osteoporosis. Adding just one cup of peas to your diet each day can help prevent age related disease and even help to prevent wrinkles. 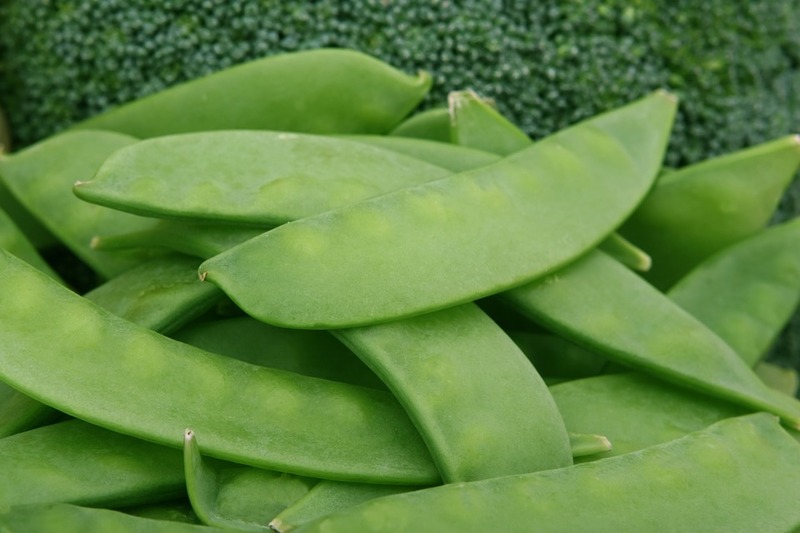 Because peas are so high in fiber they are an excellent food to regulate blood sugars. Insulin resistance is commonly associated with pre-diabetes and peas can in turn help fight the onset of diabetes, or help to prevent the onset of this terrible disease. Peas are especially great with respect to losing weight because you can literally use them as a “filler”, that is you can fill your plate with peas and you are actually consuming a powerful vegetable that due to their low fat content, will fill you up without filling you up with fat. Peas are an incredibly versatile vegetable, add them to soup, make a salad with them, or even make them a main dish. They are cheap and plentiful, so no excuse to not add this powerful fiber rich food to your diet today. It is one of the best fiber-rich vegetables. In fact, with a sweet potato of average size we will get 8 gr. of fiber. You can prepare it in a delicious soup or cook it in the pan with a pinch of olive oil. In addition to their immense fiber, sweet potatoes are a major source of beta-carotene and Vitamin A. This makes sweet potatoes especially effective at helping our bodies ability to fight off infection and stave of disease. Sweet potatoes are known to help regulate blood sugars and in turn fight the signs of prediabetes like that of insulin resistance. They not only can help prevent diabetes, they also can help to manage diabetes. The content of magnesium present in sweet potatoes, can also very much help against fighting stress and even depression. Sweet potatoes even have the ability to lower depression rates with respect to PMS in women. 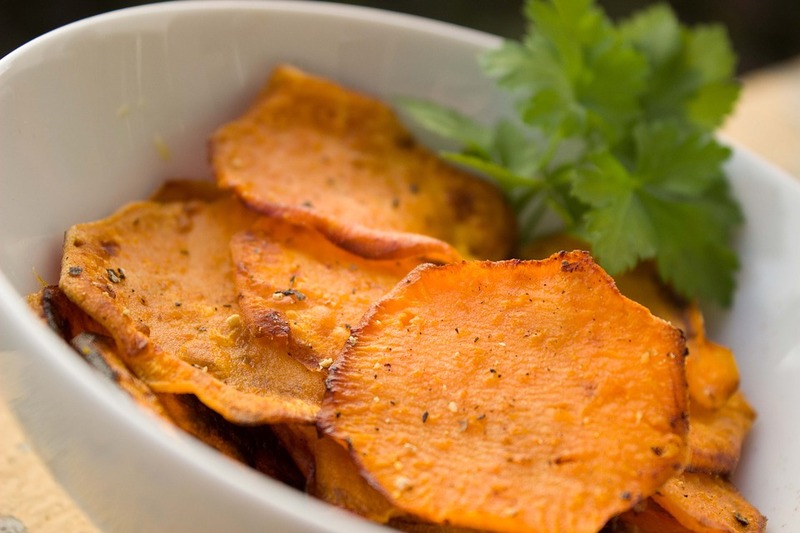 Sweet potatoes have a natural abundance of a nutrient known as choline. Choline is scientifically known to lower cellular inflammation. Inflammation is known to be a major cause for age related decline and the onset of diseases such as cancer and heart disease. Sweet potatoes are shown to also have benefits for both the hair and skin. That’s right, being high in Vitamins A, C and E makes sweet potatoes excellent for these purposes. Vitamin A is well known to help stimulate the production of collagen and also help heal and protect sun damaged skin. Vitamin E has anti-oxidative properties that can help to reduce oxidative stress that can contribute to hair loss conditions like alopecia. Vitamin C also helps to aid in the production of collagen in the skin and helps to reduce inflammation. The soluble and fermentable fiber that is contained within sweet potatoes naturally provides many weight loss and regulation properties. This is partly due to the fibers ability to make you feel fuller and for longer. Ultimately this leads to less snacking throughout the day and more readily available energy. So you have absolutely no reason, whatsoever to not overindulge in this amazingly powerful fiber rich food. You can mix it with steamed water, add a little lemon juice with spices and serve it as an appetizer. With only one cup you will get 4.7 gr. of fiber. 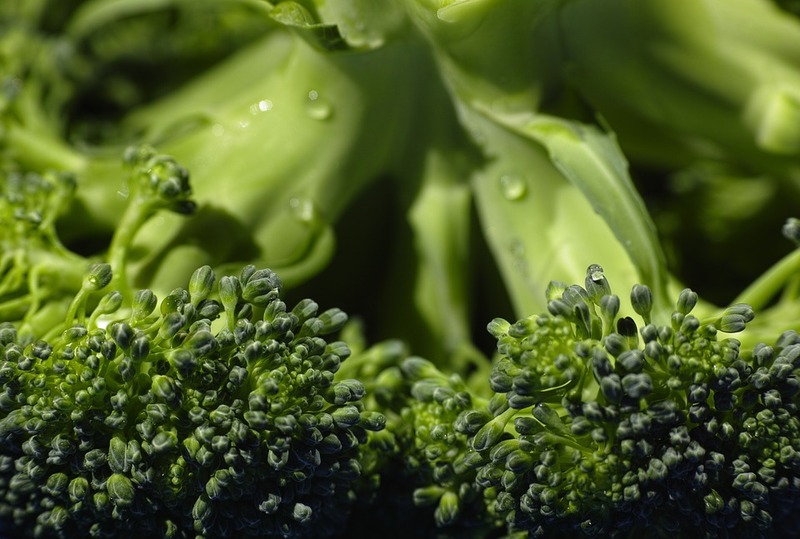 Not only is broccoli a great source of fiber, its also packed full of other nutrients like protein, iron, potassium, calcium, magnesium and Vitamins such as: A, C, E, K and B Vitamins. Broccoli is chocked full of antioxidants that help to repair and guard against the damage that free radicals can do to the cells in your body. 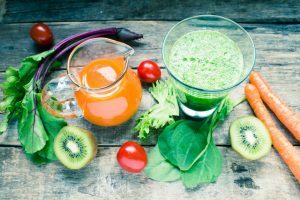 This is especially true for cells in the eyes and this is due to the antioxidants that are known as lutein and zeaxanthin. Broccoli contains a nutrient known as sulforaphane that is linked to the reduction of blood sugar, lowered cholesterol can fight disease. Broccoli is especially known for its cancer fighting properties. This in part due to antioxidants and further broccoli is a great food to prevent the onset of cardiovascular disease by reducing cholesterol. Broccoli as we can see is extremely important for health but this is not all, broccoli can also help you lose weight, eating broccoli can act as a food that fills you up and keeps you full, so go ahead and make a broccoli soup or salad and the dietary fiber will keep you losing weight instead of putting on weight. 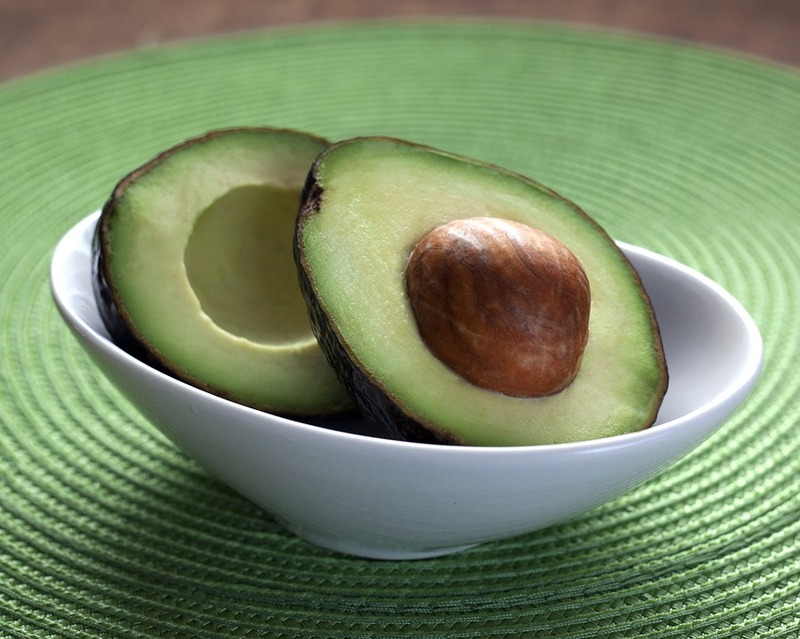 The creamy and delicious avocado is a great source of fiber. With an average sized avocado we will have 10 grams of fiber. In addition, it is also good to get healthy fats that helps lower cholesterol. Avocado can help to boost metabolism by enabling those hormones in the body that can shut down fat storage and boost the metabolic rate. Surprisingly, avocado contains more potassium than bananas and this is especially important due to potassium being a nutrient that many people are known to be deficient in. Potassium can actually benefit the heart and is known to help lower blood pressure naturally. Chocked full of monounsaturated healthy fats that help burn fat by activating the metabolism. Also a great source of antioxidants that facilitate blood flow and lower inflammation. Avocado contains a huge amount of fat, in fact it’s one of the fattiest plants in existence; but this comes with healthy twist as this fat is comprised mainly of oleic acid variety. This is a monounsaturated form of fat which is known for its ability to help reduce inflammation not unlike olive oil. Lentils, Probably one of the best foods rich in fiber to lose weight. One cup of this food gives us 15.6 grams of fiber, really not a large amount to get the necessary nutrients for a healthy diet. 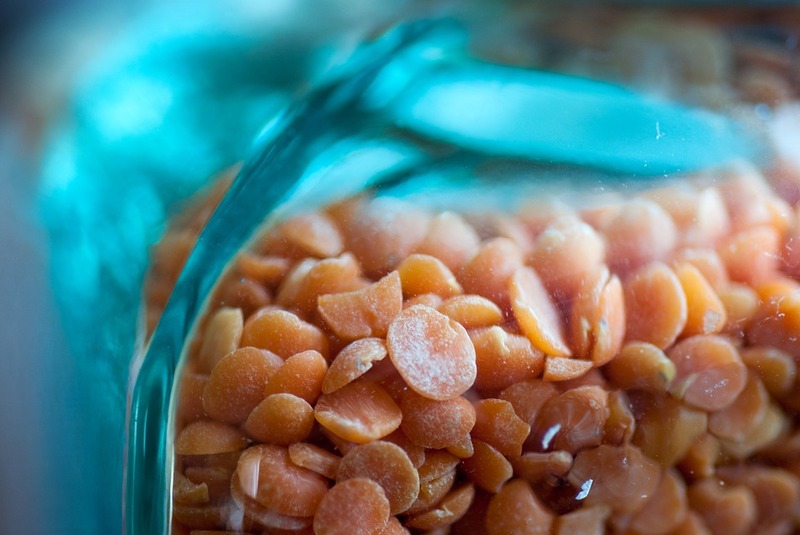 There are multiple health benefits of lentils to be gained if eaten in moderation. According to Purdue University, lentils contain an astronomical 4 grams of fiber per 100 gram serving, or 8 grams per 200 gram serving. To put that in perspective, New York University’s Langone Medical Center listed the fiber count of many fruits, vegetables, legumes, and cereals. Only all-bran cereal has the equivalent number of grams of fiber per serving. Lentils are also a good source of vitamins and minerals. In particular, lentils offer high amounts of folate and magnesium. Folate helps one’s metabolism, while magnesium aids in blood flow and oxygenation. Lentils also offer a wide variety of B vitamins, Potassium and Zinc. Weighing in at about 230 calories per cooked cup, and no fat, one would be hard-pressed to find a healthier nutritional source than lentils. Because they are so high in fiber, lentils put a strain on the digestive tract in the effort to break the food down into nutrients which are easily absorbed. Over-eating lentils in digestive tract sufferers can lead to abdominal pain, nausea, vomiting, and problems associated with gas. Another vegetable that will help us obtain fiber. It is highly recommended to eat it in winter, a single cup contains 2.7 gr of fiber. Fresh is best, for taste but canned pumpkin does not lose its nutritional value so you can enjoy it in either form. Just a one cup serving of cooked pumpkin contains 1.75 g of protein, 2.7 g of fiber, just 50 calories, 0.17 g of fat and 12 g of carbohydrates. This one cup serving holds 200 percent of the recommended daily allowance of Vitamin A, 20% of Vitamin C and 10 percent of Vitamin E, riboflavin, potassium and manganese. Pumpkin surprisingly is a well-known source for the powerful antioxidant beta-carotene. This antioxidant is converted in our bodies into Vitamin A and in turn protects cells against oxidative damage. Pumpkin can protect our bodies from the risks of cancer, heart disease along with preventing cell damage from aging and the related degeneration that goes along with it. Like so many of the other fiber rich foods, pumpkin can help regulate blood sugar thus preventing the risk of developing diabetes, or helping those with diabetes manage blood sugar. 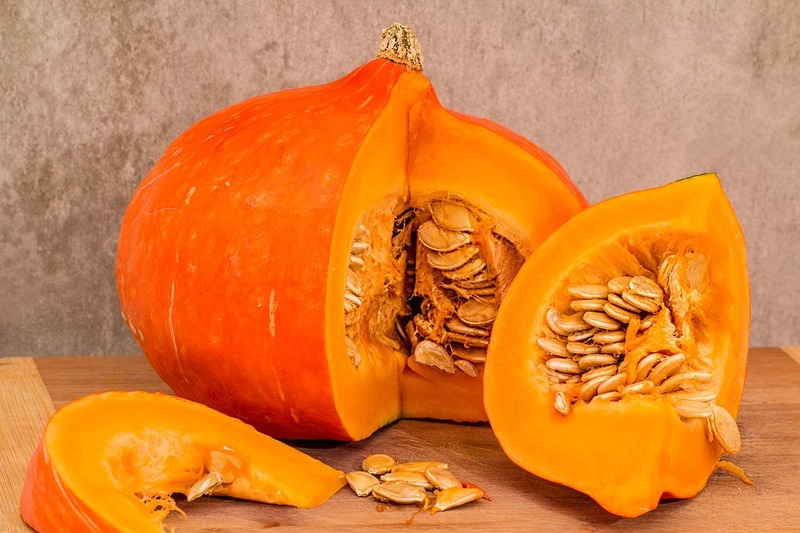 Pumpkin is oftentimes overlooked but this should change partly due to its fiber content and otherwise due to its high nutritional content without many of those added calories. It is a very nutritious fruit. A pear of average size, with the skin included, contains 5.5 grams of fiber. It is advisable to eat it with skin, because we will not lose any of its nutritional value. One medium sized pear contains 102 calories, 0.5 g of protein, 206.5 mg of potassium, 12 % the daily intake of Vitamin C, 5% Vitamin B-6 and 3% Magnesium. 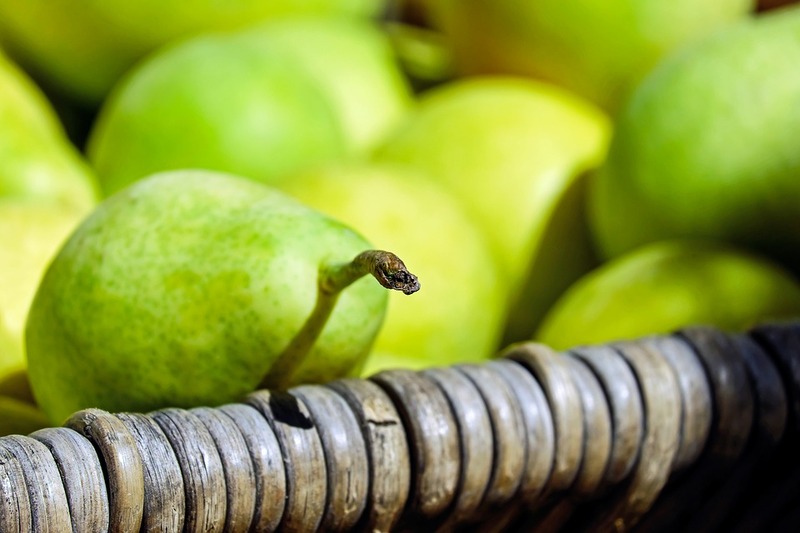 A single pear can provide for 18% of the daily recommended fiber in the body. Pears can help the fight against cancer, the texture of pears can act as an abrasive agent in the body’s digestive tract and certain cancer causing agents can be removed through the regular consumption of pears. With respect to losing weight, pears do contain sugars however they are natural occurring sugars and only 100 calories, so the benefit of the fiber far outweighs the damage the sugars could be causing to your weight loss goals. 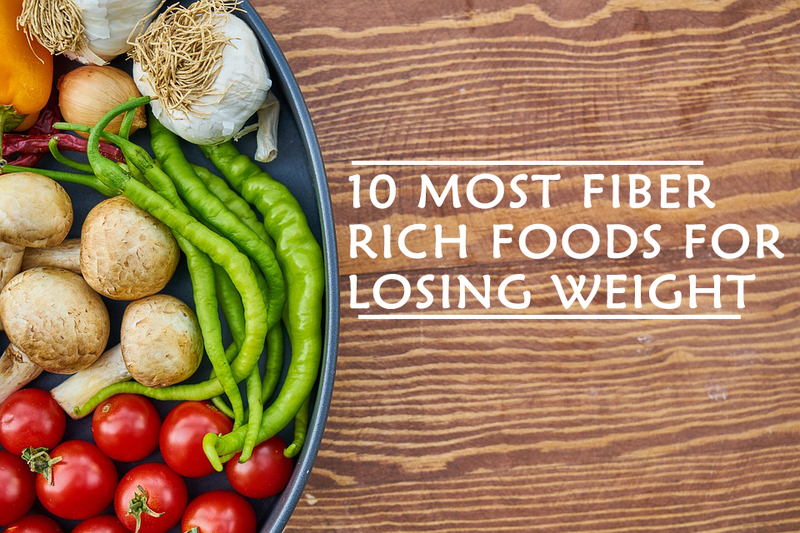 You will feel full for a longer period of time like many of the other fiber rich foods in this post, leading to less snacking and an overall boost in energy. Free radicals are known to mutate healthy cells within the body into potentially cancer causing or disease causing cells. That’s why the antioxidant content of pears is so mutually beneficial to the removal of these free radicals and the healthy functioning of cells within the body. Some of the antioxidants that are abundant in pears are: Vitamin C, Vitamin A, along with certain flavonoids such as: beta-carotene, lutein, and zeaxanthin. They are all effective at fighting off free radicals. We have many options for preparing Brussels sprouts, such as steaming, baking or stewing. One cup of this vegetable has 4.1 grams of fiber. Brussels sprouts are an especially great high fiber food because they are so low in calories, yet extremely high in Vitamins and minerals. From only a one cup serving 156 g of cooked Brussels sprouts you can expect 56 calories, 4 g of protein, 12 g of carbs and 4 g of fiber. Along with those great nutritional benefits, you can also expect 274% of the recommended daily intake of Vitamin K, 162% of Vitamin C, 24% Vitamin A, 24% of folate and 18% of manganese. 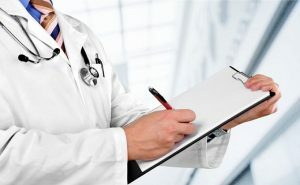 Another one of the many benefits of adding Brussels sprouts to your diet is the high content of antioxidants, many studies have been published in recent times outlining how just consuming 2 cups of Brussels sprouts to your diet can help to reduce oxidative cellular stress, by a whopping 28%. One antioxidant has shown especially high promise, kaempferol, has been studied extensively and shown to help reduce cancer growth while also promoting heart health. It has this effect due to it reducing inflammation. 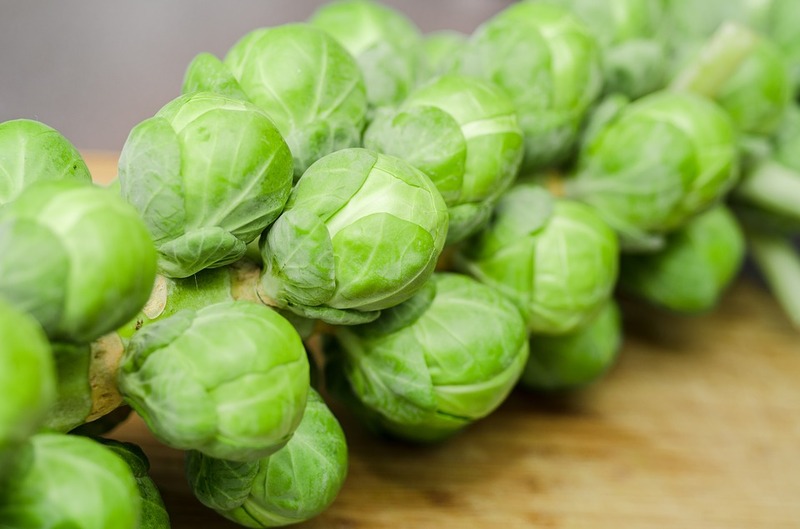 Brussels sprouts by volume, have an exceptionally high nutritional content of kaempferol. It is a delicious fruit to eat in the snack. With a cup you will get 8 grams of fiber, but it is advisable due to the calories to only eat half a cup to satisfy your appetite. 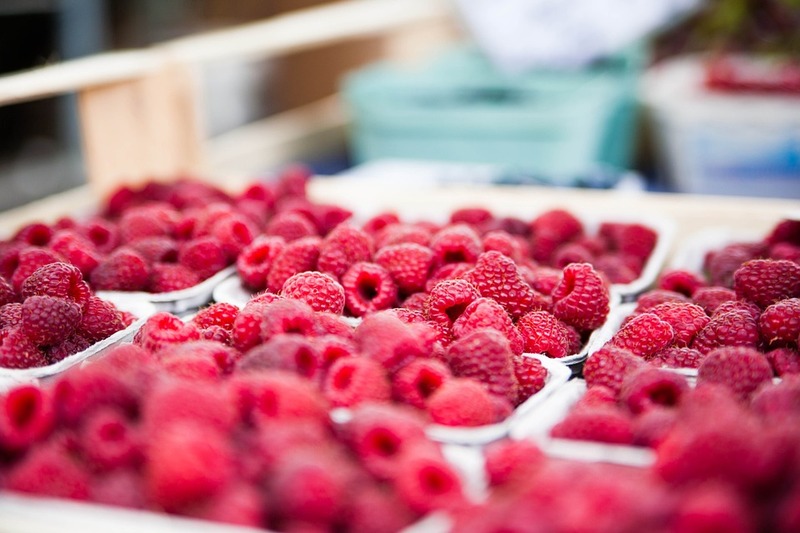 Raspberries are not only a delicious treat; they have very well-known health benefits. Raspberries are beneficial in decreasing the risk factors for many common diseases including but not limited to obesity, diabetes, heart disease and the ant oxidative nature of these berries can even help protect against certain cancers. 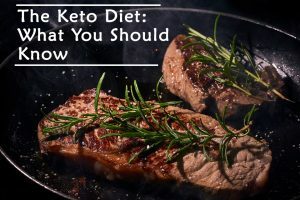 Ketones are another naturally occurring nutritional benefit that is thought although not completely proven to help fight weight loss. For a one cup serving of raspberries you can expect the following: 65 calories, 185.7 mg of potassium, 15 carbs, 8 g of dietary fiber, 1.5 g of protein, 53% of the recommended daily intake of Vitamin C, 4% iron, 5% Vitamin B-6, 6% magnesium and 3% calcium. The flavonoids raspberries are especially in abundance of have so many health benefits, some of which include anti-aging properties that are thought to help protect an aging brain against cognitive decline, lowering the risk factors of cardiovascular disease, preventing the damage from free radicals within the body leading to less incidence of certain types of cancer, regulating blood sugar in those with pre-diabetes symptoms like insulin resistance and helping to maintain proper digestion. It is a rich fruit that like the pear should be consumed with skin to take advantage of all its properties. With an apple of regular size we will obtain 4.4 grams of fiber. The nutrition you can expect from one medium sized apple is: 95 calories, 25 g of carbs, 14% of the recommended daily intake of Vitamin C, 6% potassium, 5% Vitamin K, 4% manganese, and copper along with Vitamins A, E, B1, B2 and B6. 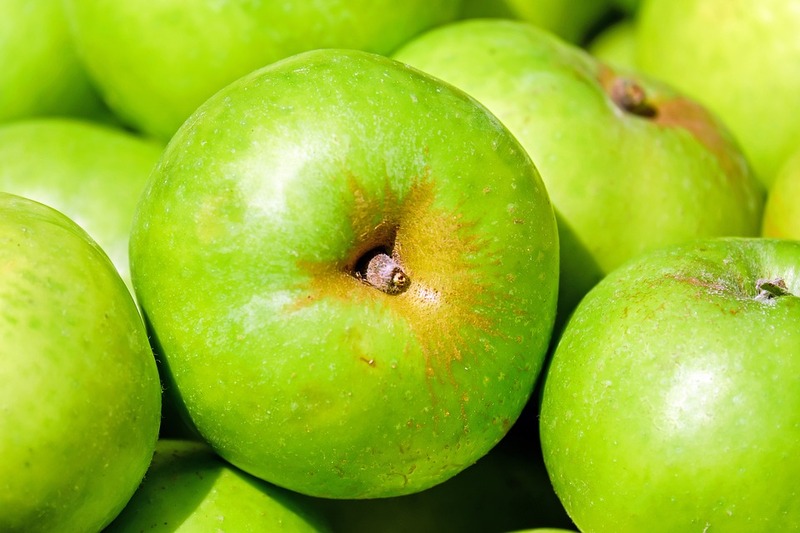 Polyphenols are a huge nutritional part to the apples nutritional benefits from this amazing fruit. Surprisingly enough it’s the skin on the apple that has such a high content almost half the fiber and polyphenols. Apples are an effective food for losing weight partly due to the fiber and water content. The fiber and water both work to make you feel fuller and for longer. Studies have shown that people who consumed an apple with a meal typically consumed 200 less calories than others who hadn’t. As you can see there are many foods rich in fiber to lose weight and are perfect for eating daily. You should only think about the best way to add them to your diet. The fruit can be consumed in snack, in the case of vegetables can vary in the main meals. 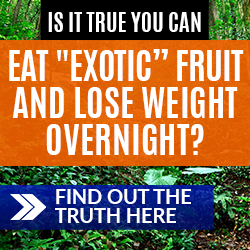 Are you looking for a proven, doctor approved weight loss plan that actually works? 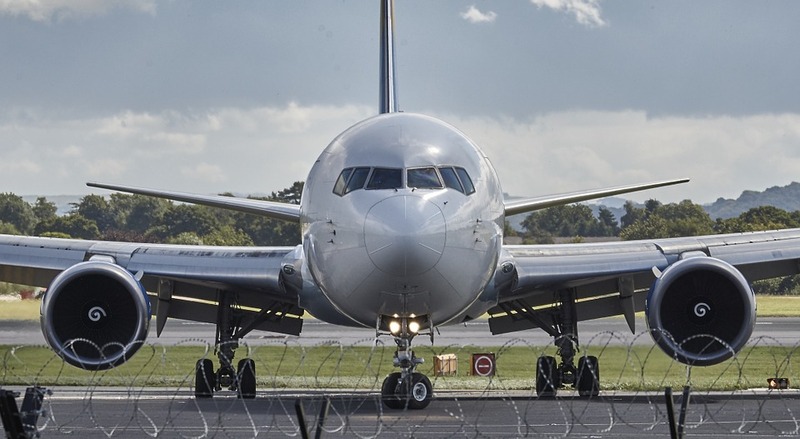 Click here and read more.